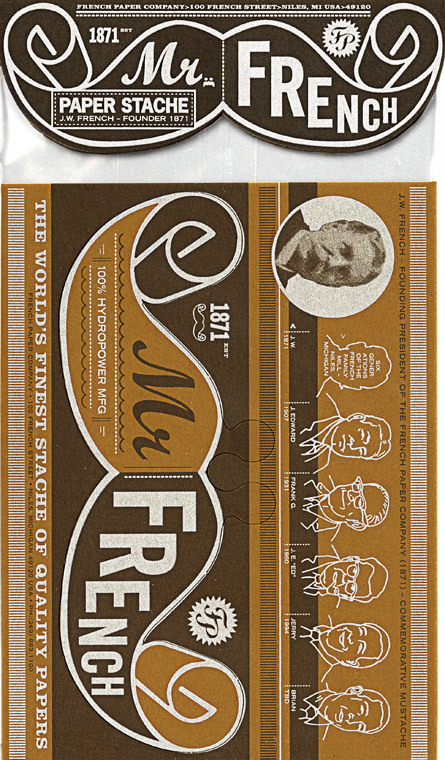 French Paper Company was founded in 1871 by J. W. French. He was a man with an amazing vision and an equally impressive mustache. 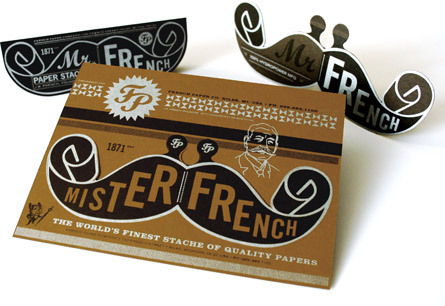 Six generations later, we commemorate his legacy with an elegant paper ‘stache, a promotion to be worn by French Paper representatives, customers, and fans.